To make bruschetta simply cut bread diagonally across into large triangles or cut out large rounds from each slice with a pastry cutter. Bake the prepared bread on a baking tray at 200’C/400’F for 10 minutes or until golden brown. Grill 2 red peppers on all sides until the skin is blackened. Place in a bowl and cover with cling film and leave to steam for 15 minutes. Remove the cling film, and peel off the skin using a small, sharp knife. Core and de-seed the skinned peppers and thinly slice. Place the pepper slices into a bowl, and mix in 2 finely chopped anchovies, a tablespoon of extra virgin olive oil and a teaspoon of small rinsed capers. Season with freshly ground black pepper, stir in a tablespoon of finely shredded basil and heap onto the bread, rubbed with garlic and drizzled with olive oil. 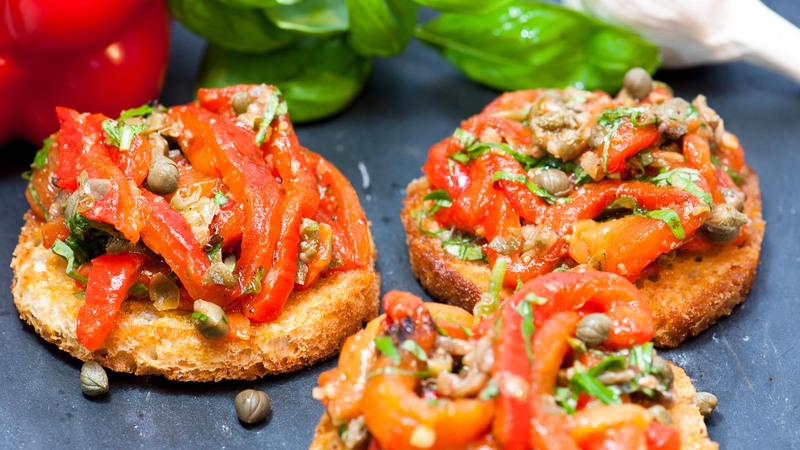 Bruschetta can be made with a wide variety of toppings to make an almost infinite variety of flavourful, colourful and nutritious snacks. 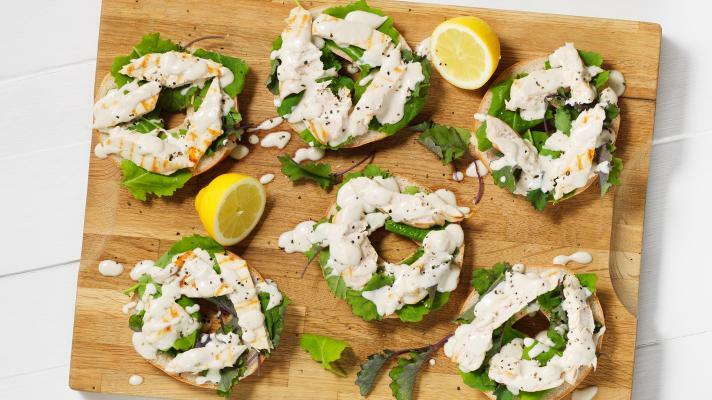 These bagels brings an updated twist to a much loved classic. 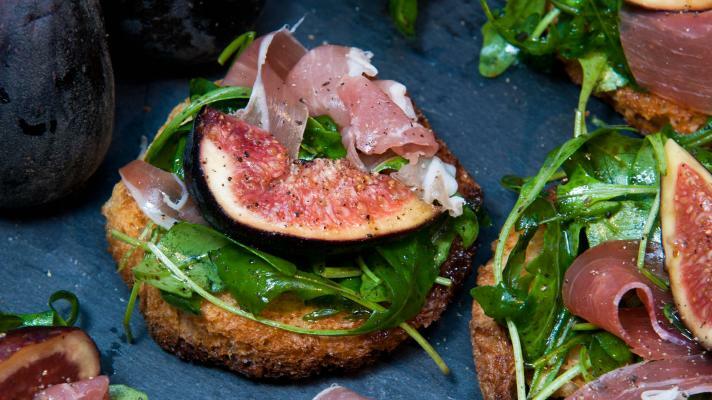 This simple, flavoursome recipe will soon become an easy lunchtime staple.